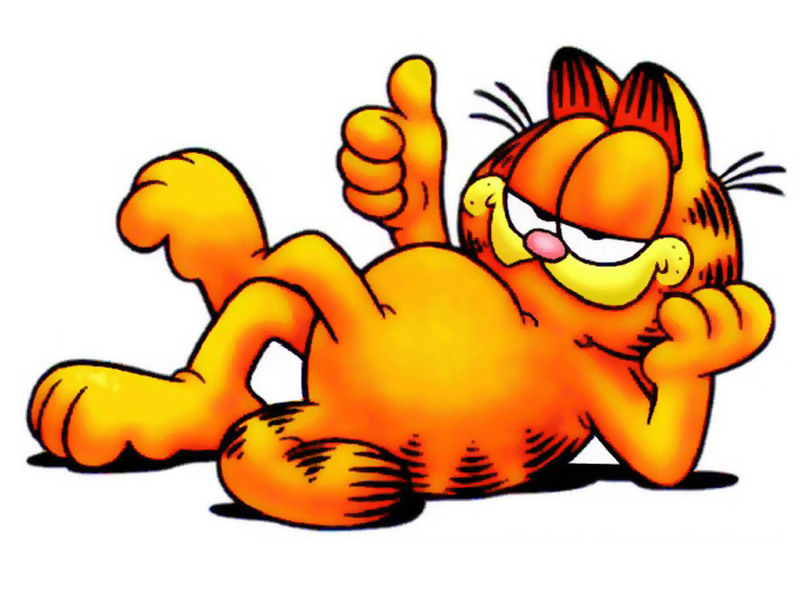 “Garfield” has been a part of the American cartoon culture since 1978 and is “The Most Widely Syndicated Comic Strip in the World,” according to the Guinness Book of World Records. Davis chatted with Indiewire just before the collection’s release to detail the origins of the lasagna-loving feline and the state of cartoons today. So take me back to the beginning. How did Garfield come into existence? I had worked for nine years on the “Tumbleweeds” comic strip as Tom Ryan’s assistant, and during that time I tried a lot of ideas on my own to get my own strip started. I had a bug idea, a bug strip. I submitted a lot of ideas to newspaper syndicates and finally an editor said, “Your scripts are great but bugs? Nobody can relate.” So I took a long hard look at the comics and I thought, “Dogs are doing really well. Snoopy, Marmaduke and so on.” So if dogs were doing well, I thought maybe people would want to see cats. I’d grown up on a farm with a lot of cats and so I was comfortable with the material. As I was putting the strip together, I wanted to work with animals anyway because having worked on “Tumbleweeds,” it was a western strip with cowboys and Indians, Tom Ryan was always getting grief from Native American rights groups and women’s groups too because Hildegard Hamhocker was always chasing the main character Tumbleweeds in the strip. I thought, I’ll work with animals—they don’t pick on people. It occurred to me that cats were being held back a little bit. I thought, I’ll give the cat human thoughts and feelings but not be apologetic for it. That would be very catlike. 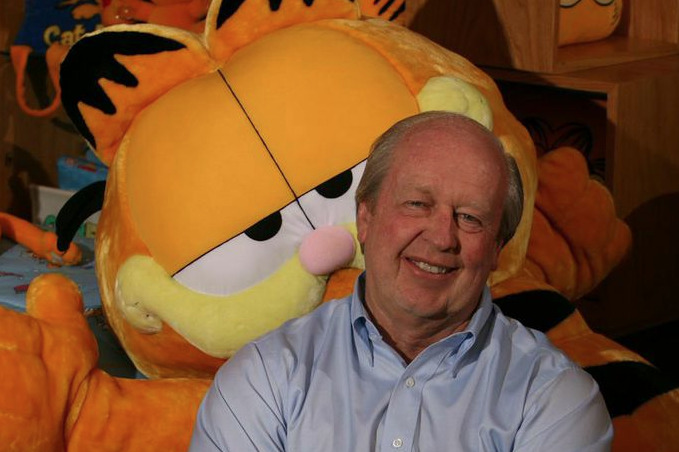 So I envisioned Garfield, which was my grandfather’s name, and he was a large, stubborn man with these human feelings. I let some people I knew influence the character and put them together. From there I created contrasts like Odie and other characters because they really create the humor. I worked with that and created several weeks worth of scripts then started showing it around. How did you develop his personality? He acts like most people wish they could act, but he’s a cat so he gets to say it. He just wants to eat, sleep, watch T.V and be left alone. Tell me about the origins of the animated series. Is this something you envisioned working on the comic strip? Actually no, but the surprising thing was, it’s actually easier working on animation than working on a comic strip, because Garfield is animated in my head. Lee Mendelson came to me and said, “I’m doing a special on the comics,” and this is 1980 and for CBS. They wanted to do something on the Sunday comics, and “Garfield” at that time was just getting some attention and was growing.. I found that it’s easier to do a gag [on TV] because in a comic strip I only have 25 words or less, and I had to freeze Garfield in three frames: set up the gag, twist the gag, resolve the gag and then that’s it. It’s only done in basically black and white. No animation or sound or music. I learned early on with animation you can let him go, you can put musical cues and with sound effects you can really help a gag flow. For me the animating was easier. Then CBS came back and asked if we would do a special, and that got everything started. The special on the comics was very well received. Back then, there were only three networks! [Laughs] It was a really big deal when CBS called back. We thought that we’d arrived. When it came to developing the plot lines for each episode, did you go back and pull from some of the strips or did you come up with all new ideas? A lot of the gags from the early specials were one-liners from the strips. But, because it has to be one story for 22 minutes, I wanted to do something where something was put at risk. Not necessarily by his life or anything like that. But the well being, the health, the family, we wanted something put at risk and then resolved. I wanted to take 22 minutes to make them laugh, to make them cry, to make them think somewhere in there so people feel like spent a half hour well. [Laughs] It needed to be worth watching the half hour show. I created all new stories because I could and because I had to think of it as a 22-minute strip. An extreme Sunday strip, something like that so that it can have a beginning, middle and end. You brought up Saturday morning cartoons. I read a piece recently that on network TV there were no more Saturday morning cartoons anymore, at least on the non-cable networks. Why do you think happened? Do you have any thoughts on the state of cartoons on TV right now, either for kids or adults? I also read that there’s no longer going to be Saturday morning cartoons and I thought, “Okay, they’re doing a lot more live action, they’re doing a lot more this and that.” Actually there’s a lot of competition for the networks from cable and from online for cartooning day and night. There are more cartoon channels and Cartoon Network. We’re on Cartoon Network. So it’s everywhere, and it’s everywhere all the time so the need for having it just on Saturday mornings really went away. We were there at the cross roads of when cable took over network. We had standards and practices looking at our material. “The Simpsons” was doing stuff that was very edgy and appealing to a new generation quite frankly. Also, they had publishing companies and licensing companies coming in and doing things as if it were “The Transformers” and things like that, basically giving it to the networks for free. When we were doing it, we had production expenses to pay. [Laughs] It got very hard to compete later on because cable didn’t have the kind of controls we adhered to. We also couldn’t match the kind of budgets that the toy companies were working with and offering to the networks to put stuff up for free so it made it very difficult. Thankfully, cartooning like you say, is still alive and well. It’s still attracting an adult following. This new generation of kids is getting even more visual online which really bodes well for cartooning and animation. 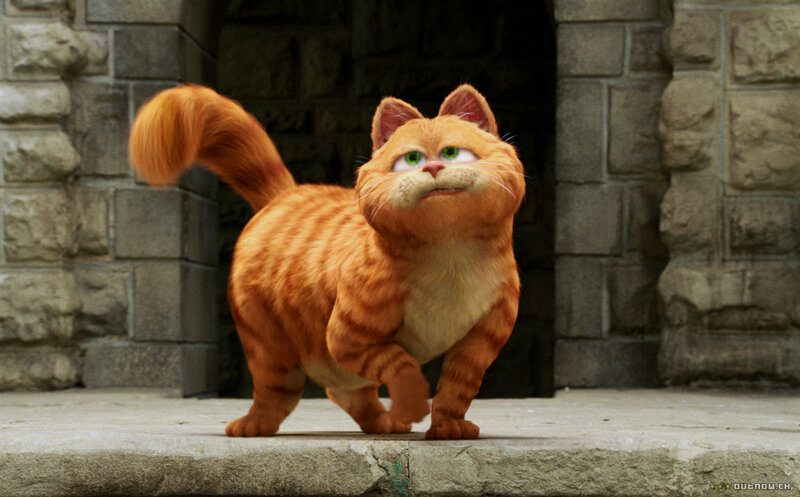 Tell me a bit about adapting your character for the “Garfield” films from the early 2000s? That was great fun because it was a big challenge doing an animated “Garfield.” We actually did work with the writers of “Toy Story” to do those two movies. We spent a week together before the first movie and we went through every piece of animation and spoke about what worked, what didn’t work, what I liked, what I didn’t like and we actually worked on the story treatment for the first movie during that week. We worked closely with Joel [Cohen] and Alec [Sokolow] and we had a great time, and we were on the set several times and I got to know the actors. I had a credit on the actual script— I actually did part of the script, so it was great. The second one had a very different appeal since it was in England. We had fun with that too. I think they were warm, I think they were genuine, they were very “Garfield” and I’m very proud of them. 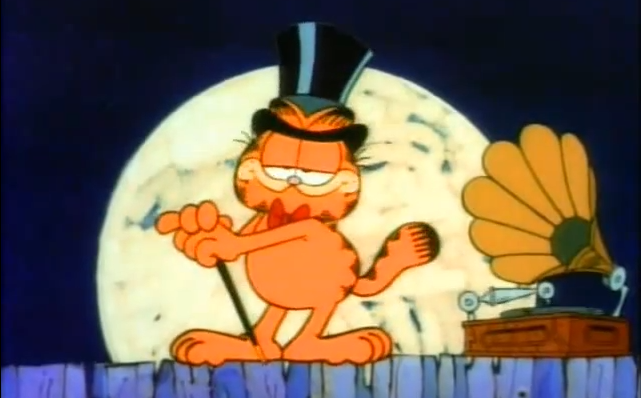 I think they’ll hold up for a long time to come, even though it was a very different look and a little bit different style for “Garfield,” I think it worked well for that genre. Plus it must have been insane to have Bill Murray voice your creation. He’s a nutcase! He is a nutcase! [Laughs]. I’ll tell you one thing. He said he thought it was the Coen Brothers who were writing it actually. He’s having fun with the press on that because if we were doing another one with Davis Entertainment, Bill Murray would do it again.